Niagara Falls' unique location between Canada and the US comprises of three waterfalls, not just one! Whether you want to see its frozen winter splendor or thunderous power in summer, both sides offer very different spectacles to choose from. 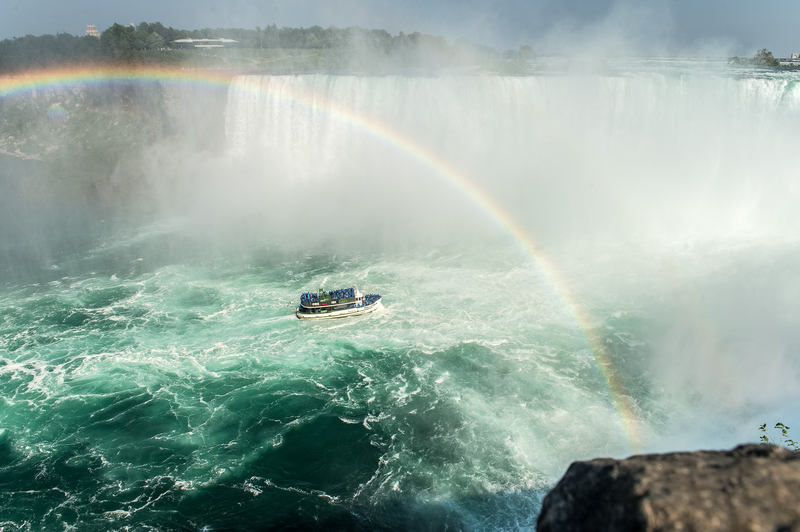 90% of the Niagara River flows over Canada's Horseshoe Falls. It doesn't just look awesome, its raw power is literally eroding the US-Canada border! As the name suggests, the American Falls is on the American side. It offers some of the most extreme views, with visitors able to get nail-bitingly close to the edge! Located in New York State, Bridal Veil is by far the smallest of the three. It's worth visiting the Cave of Winds attraction to see the water flow over you from the falls' base! 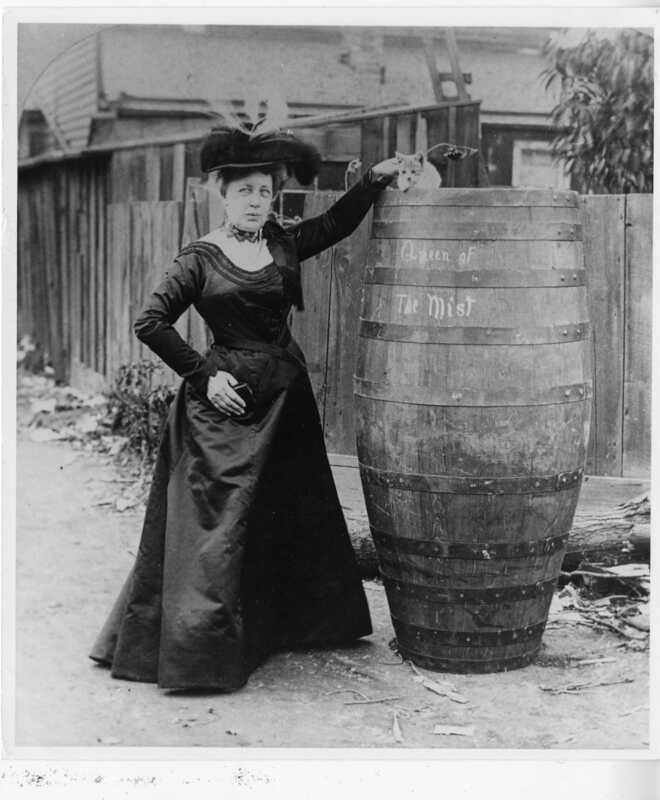 63-year-old Annie Taylor became the first of many to journey over Horseshoe Falls in a barrel. Horseshoe is terribly dangerous, but the others are too rocky to survive! 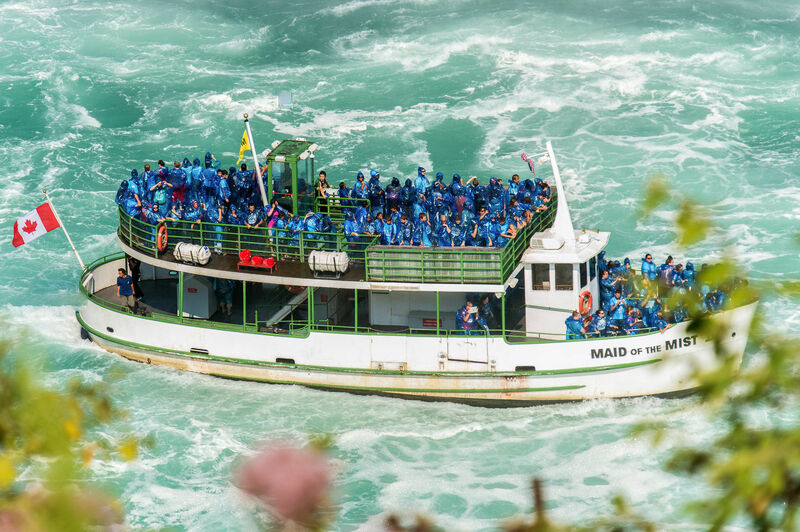 Boat tours operate in Niagara Gorge at the foot of the falls. Each country has different tour operators, so compare before deciding which side of the border to journey from. How many days to spend there? 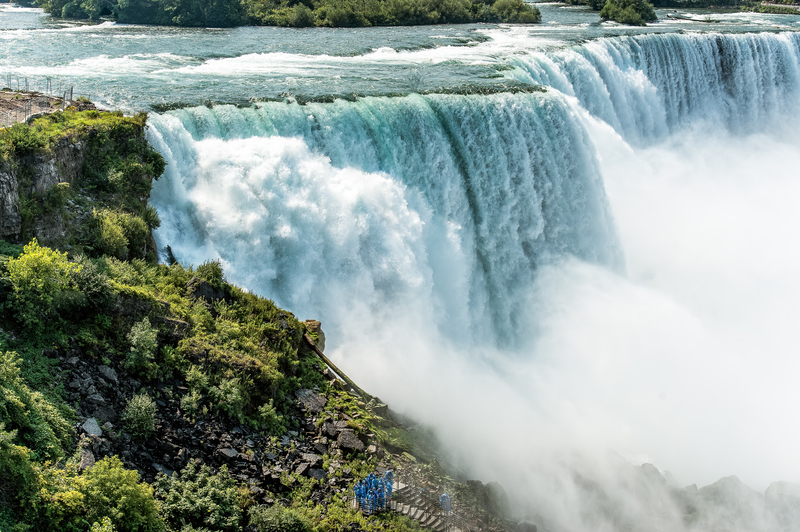 A day should be enough to see Niagara Falls but it's worth scheduling more time if you plan to take advantage of the many activities, tours, and boat cruises available. It is very common for people to set aside a day-trip as part of a longer stay in Toronto or New York. July to August are, unsurprisingly, the busiest months. If you want to avoid the crowds then going in June or September will make a considerable difference. Having said that, there are few things as awe-inspiring as the frozen Niagara in winter! Both Toronto Pearson Airport and Buffalo Airport offer shuttle bus services, some with group discounts. It's worth noting that Toronto is much closer than Buffalo so, unless you're travelling from elsewhere in the US, you're probably better off accessing the falls from the Canadian side. There are direct trains twice a day between Toronto's Union Station and Niagara Falls. The falls can be be viewed 24 hours a day. It is free to view, but you will need to pay parking fees, which can be around $20. 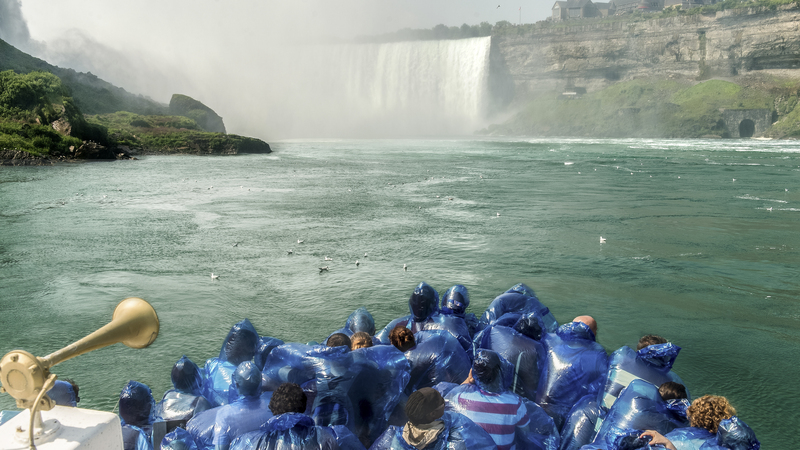 Given the location of Niagara Falls between two countries, there are unlimited possibilities to get there. The most direct way would be by car, but there are various bus and coach options, too - it is best to research online first which would suit you best as part of a larger trip to Canada or the US. We had a very good time in spite of the rain. Pre-purchase was advised but was not necessary since this was off-season. The tickets were date-specific but the venue was willing to change our date when our plans changed. Get Your Guide delivered as promised. It was a fun ride. The ride itself, at times, does block some of the view to get both sides of the Falls in at the same time, but you still get to see Clifton Park and the bridges and everything. It was a cool view! If you book on line though ... save yourself some time and PRINT your vouchers out, if possible. Will save you time when you arrive ... especially if you don’t have good cell service there .... even though they DO have free Wi-fi.